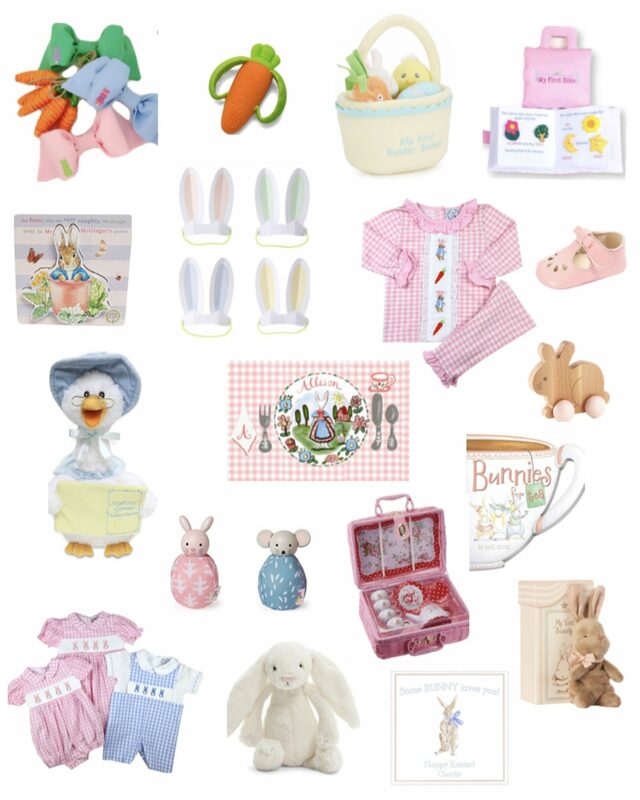 I’ve rounded up all my favorite goodies to fill your little one’s basket! Shopping for Easter items has quickly become a second hobby for me! I LOVE all of the cute Spring items and I can’t get enough bunnies! I am also such a fan of all the pastel colors, so I think the holiday was made for me! Swimsuits: Another great Easter basket idea are swimsuits! I think these coordinating sibling sets are so cute! Mother Goose: Charleston has this Mother Goose and she’s OBSESSED! It comes in both blue and pink. The Mother Goose reads classic nursery rhymes and has the most soothing voice! Tea Sets: I love both of these tea sets and think they would make such a sweet gift! The prints are adorable, and they are made of tin, so won’t be breakable for your little one. Books: No Easter basket is complete without a sweet bunny book! Here are some super cute ones! I adore all of Tricia Lowenfield’s handpainted items! This custom placement would be so cute and functional! Hope you loved this little Easter round up! This is one of my Easter posts to come! Previous Post ASOS 20% off Spring Sale!